It was the fashion that the celadon ceramics produced at the Yue kiln were potted in the form of lively animals during the period of the Three Kingdoms and Western Jin dynasty (220-316). 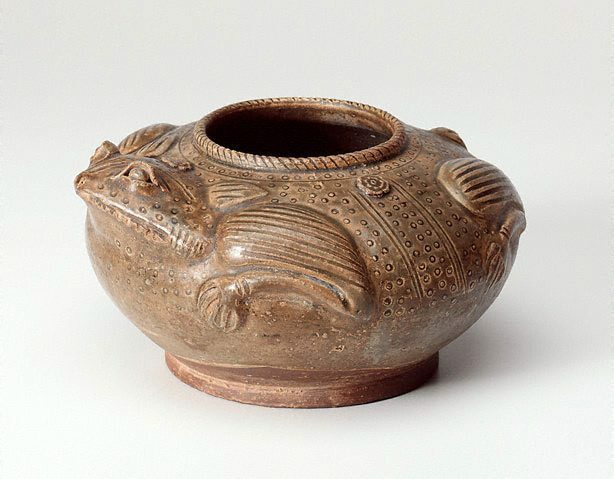 The frog-shaped water pot is an outstanding example of this kind. 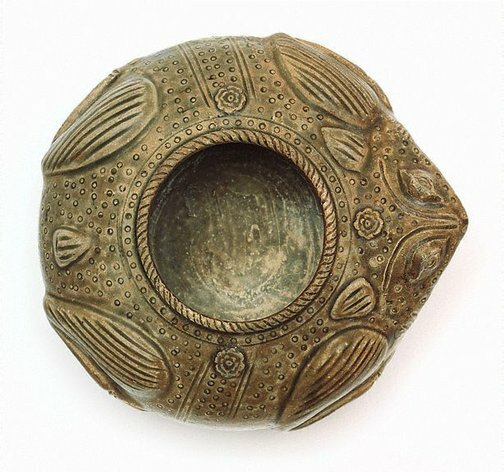 It shows an ovoid body with a slightly everted foot-rim enclosing a flat base. 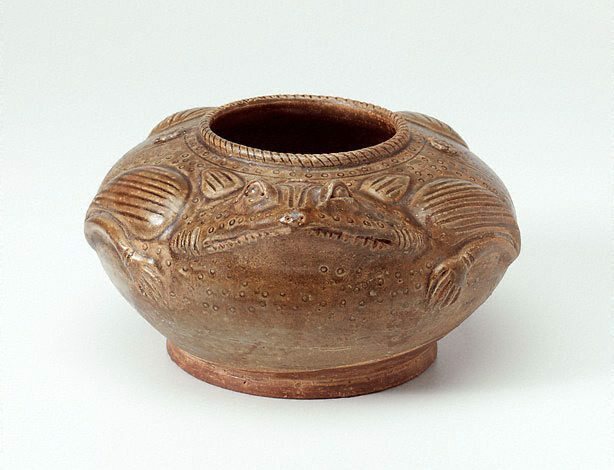 The frog, applied to the water pot's body in high relief, has a tight mouth, open and protruding eyes and squatting legs. On its back is a circular opening with a low mouth rim in a roped form. The body is decorated with small impressed circles and applied medallions. A transparent green glaze covers the surface of the pot, stopping unevenly above the foot. The water pot is a good example demonstrating that during the Western Jin, celadon stoneware production had reached a new height, not only in terms of quantity, but also in terms of the complexity of shapes and variety in decorative skills. A Yue ware water pot in this lively form is very rare. This object is almost identical to another water pot in the Shanghai Museum's collection (see Rene-Yvon Lefebvre d'Argence (ed. ), 'Treasures from the Shanghai Museum: 6,000 Years of Chinese Art', Shanghai Museum & Asian Art Museum of San Francisco, 1983, pl. 56). 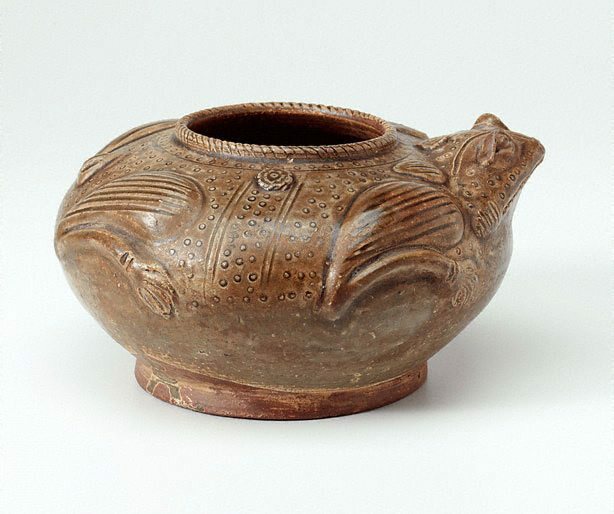 A similar water pot was excavated in 1973 in Jiangning, Jiangsu province (see 'Wenwu', 1975, no.2). Asian Art Department, June 2005.